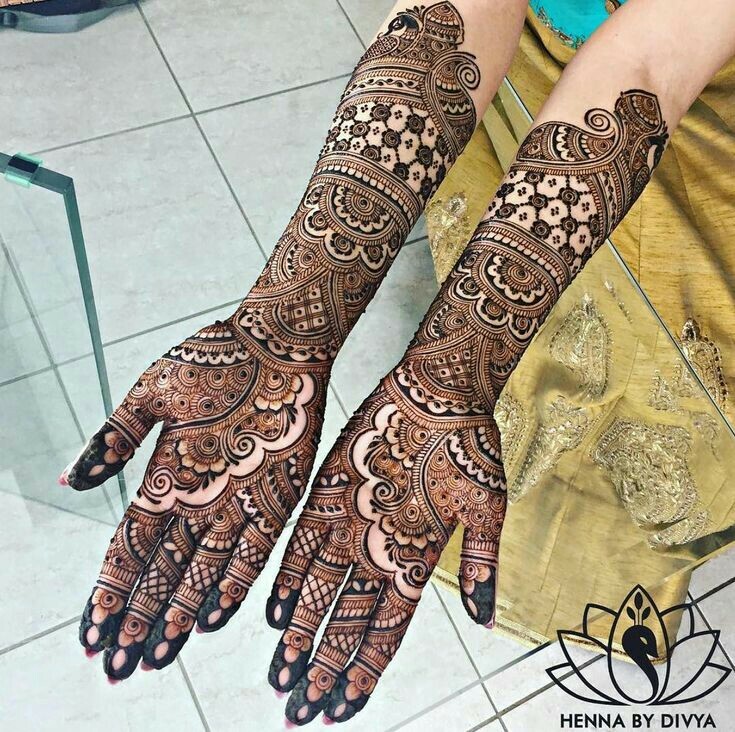 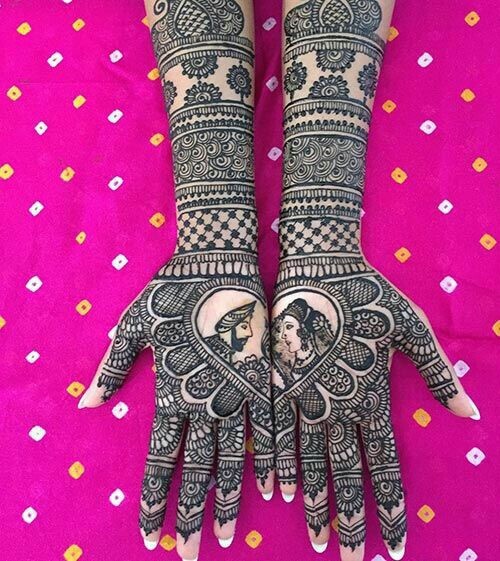 Symmetric bridal mehndi designs are perfect for brides and this heart mehndi pattern with shaded floral patterns is contemporary and stunning. 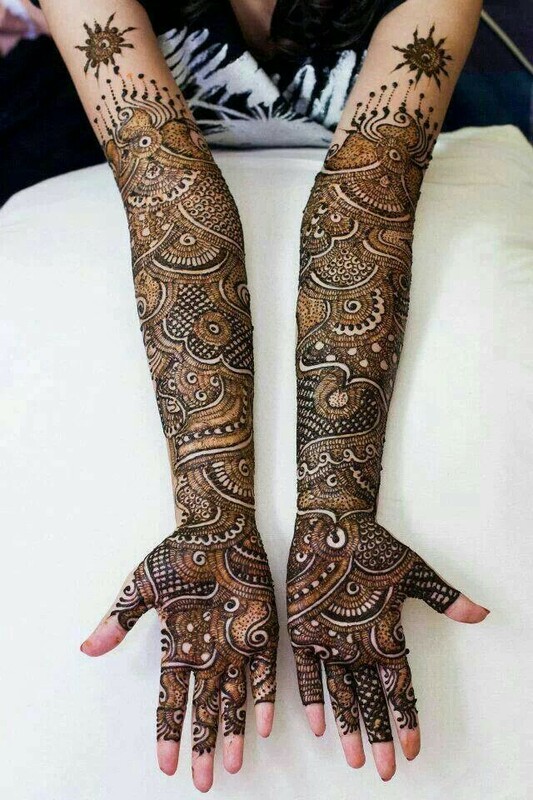 Peacocks are the most popular motifs in henna designs and this peacock bridal mehndi design which extends to full hands is a stunner. 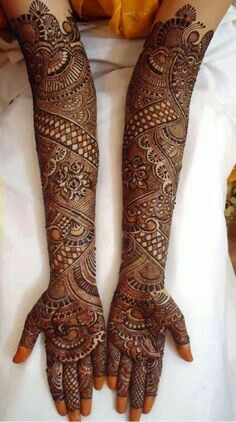 Having the same design for both hands makes sense and you ould also consider getting a similar matching pattern for your feet. 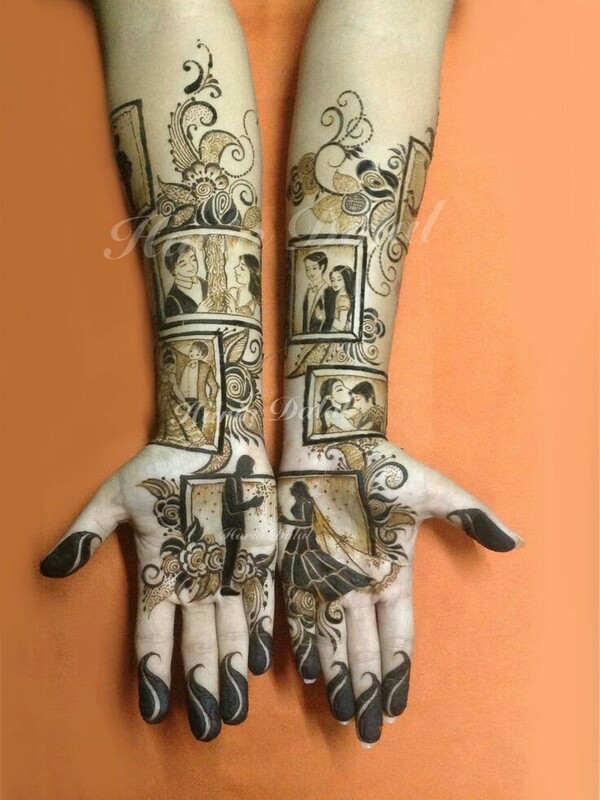 Instead of the usual motifs in mehndi you can just get creative and add your own couple motifs with quirky tag lines. 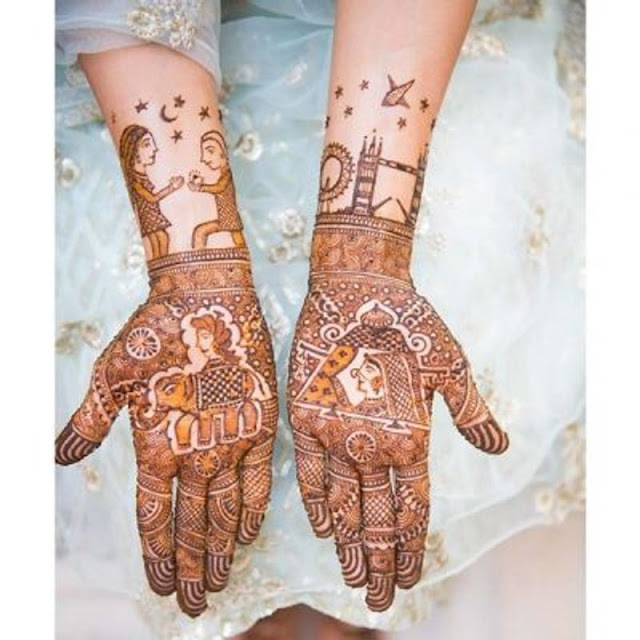 This bridal mehndi deisgn is equal parts traditional and equal parts kitsch perfect for the young contemporary bride. 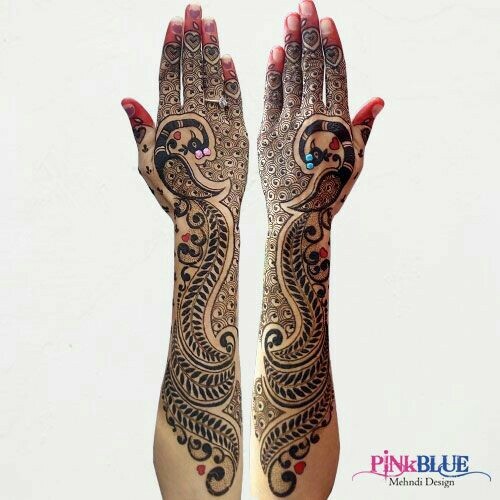 If unique and hatke is what you are looking for then this design is for you. 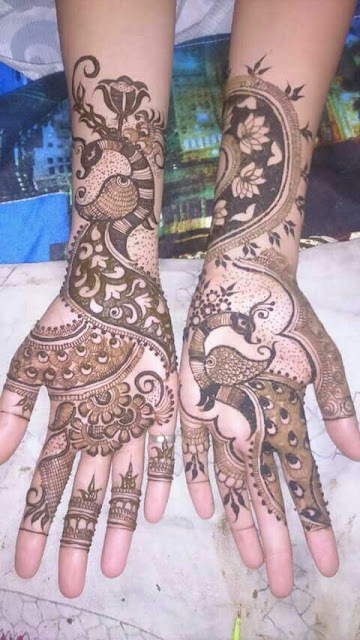 Instead of the small peacock motif go for a full blown peacok on the back of your hands and grab eyeballs. Forget roses, lotus and tulips are the hot new trend in mehndi designs This shaded lotus mehndi design is both trendy and bridal and will go well with all your ethnic as well as indo western outfits. 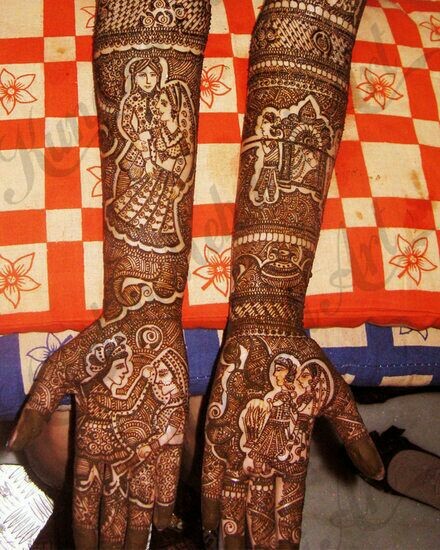 Bridal mehndi designs are mostly used only as refrence to show your mehndi artist. 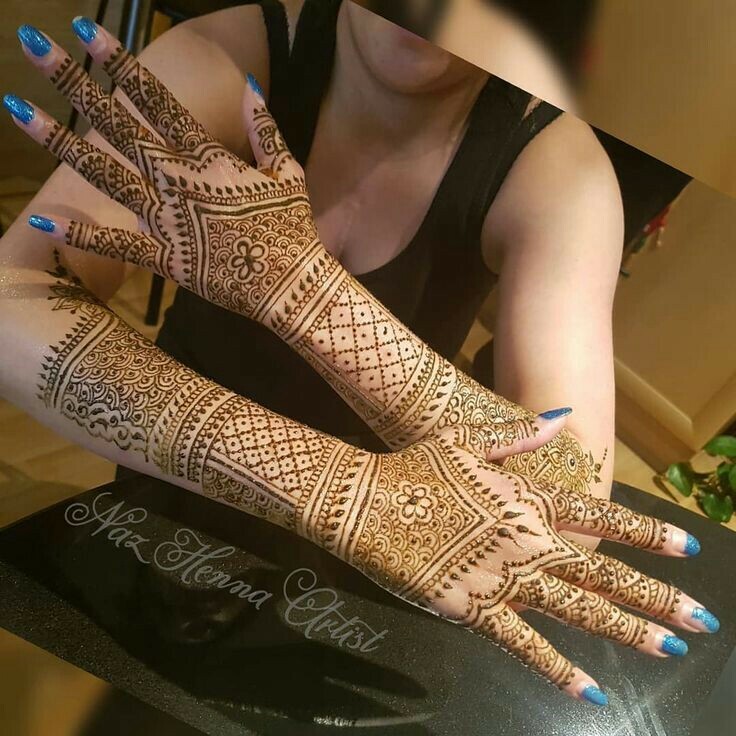 It is important you do your research in advance and choose the right henna artist . When choosing a mehndi design a bride should keep in mind the latest henna trends but it is important to opt for full hands mehndi as it is your special day and you want to look your traditional best. 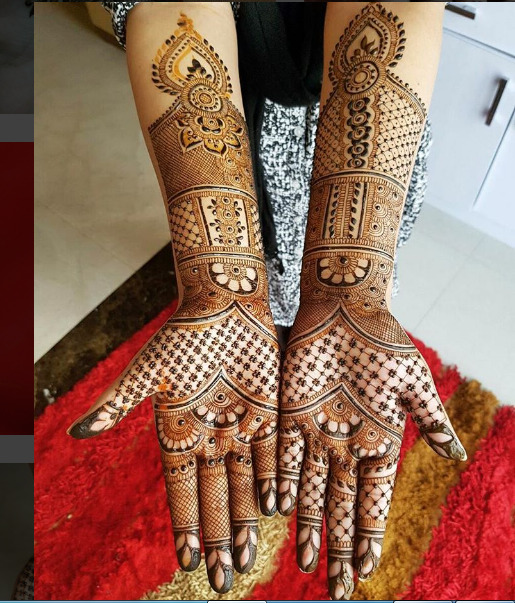 Trending patterns in mehndi designs these days are tulips, parrots, jaali, wedding hashtags , baraat motifs and weaving a story. You can add a bit of these trending henna motifs in your mehndi design to make it more striking. 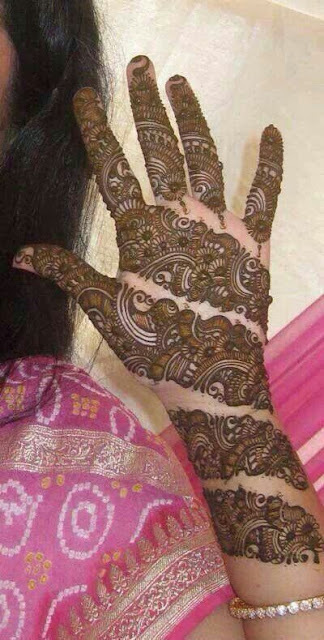 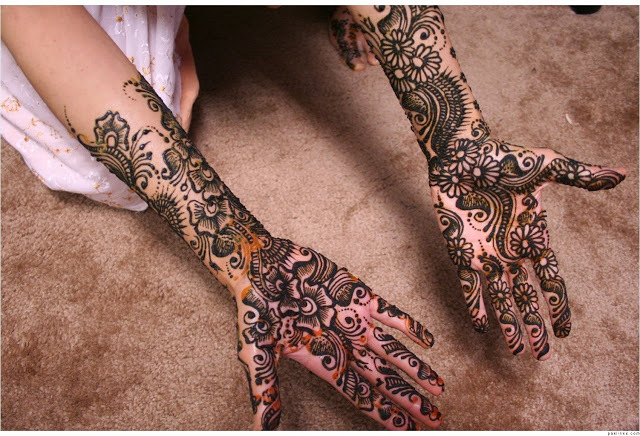 There are a variety of bridal mehndi designs for you to choose from . 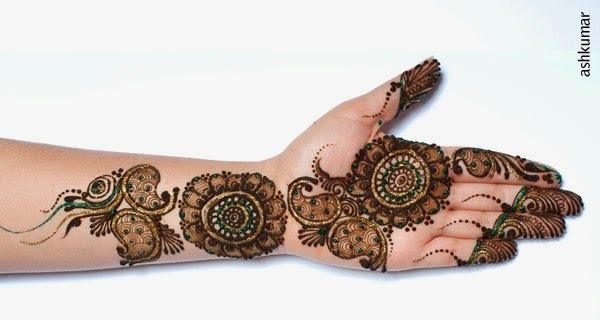 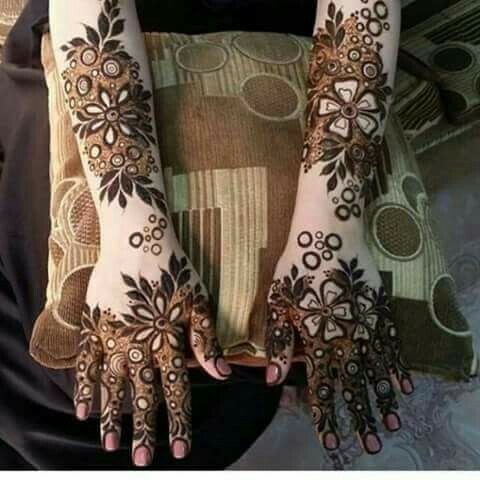 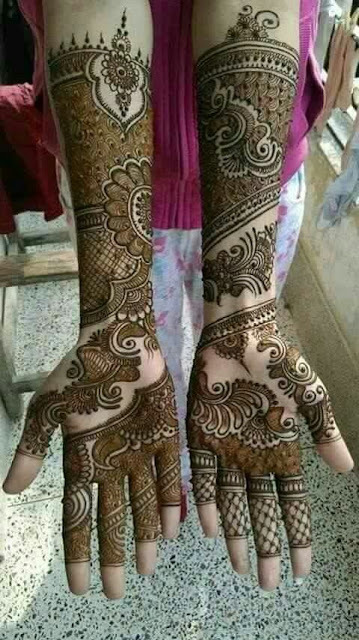 if you are looking for more simpler and minimal approach try arabic mehndi designs but if you want a traditional elaborate henna design rajasthani, mughlai or pakistani mehndi designs are better suited for you. 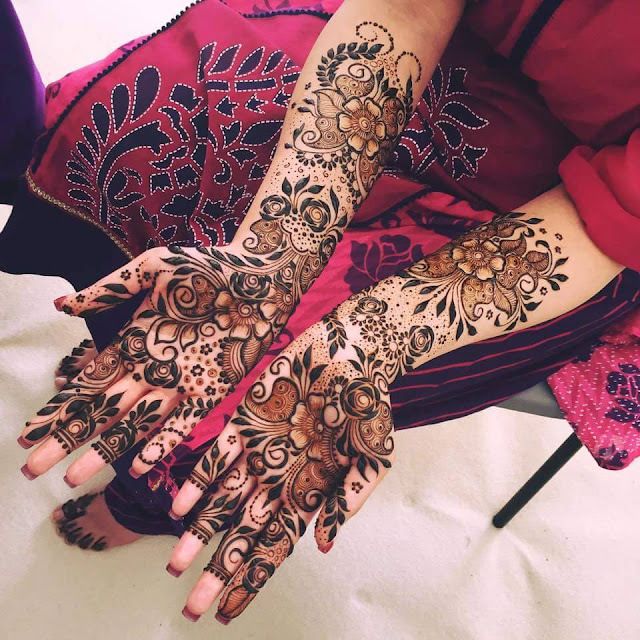 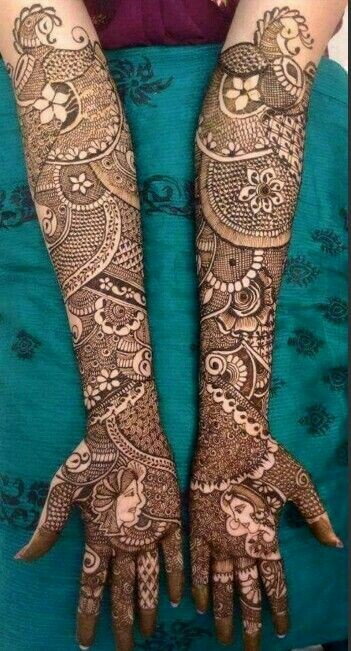 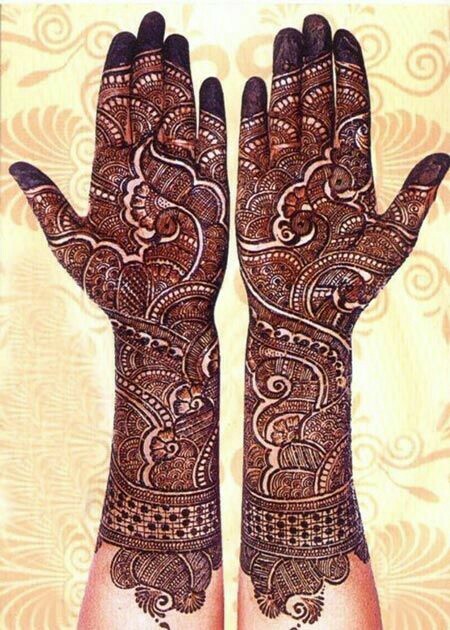 Consider geometric mehndi designs if you have thin long hands and for broad hands elongated leafy patterns give a slimming and elongated illusion. 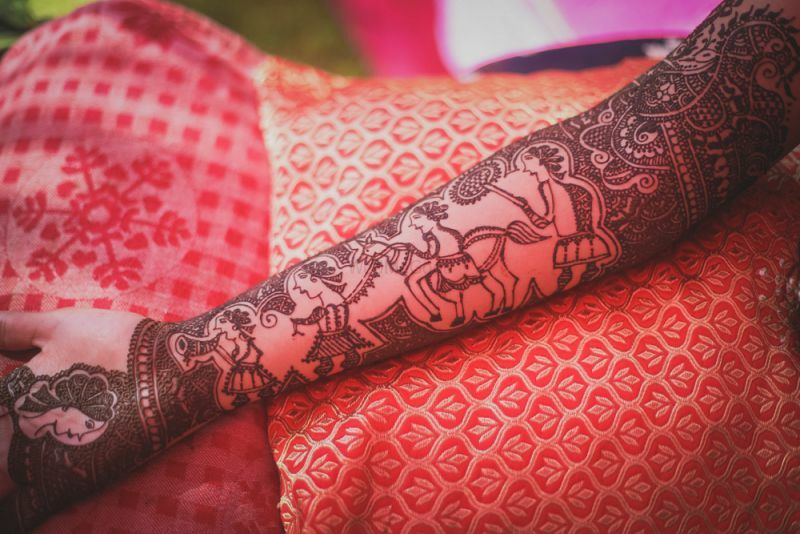 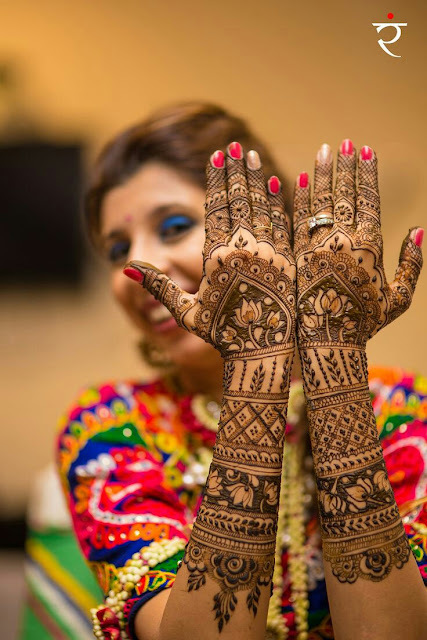 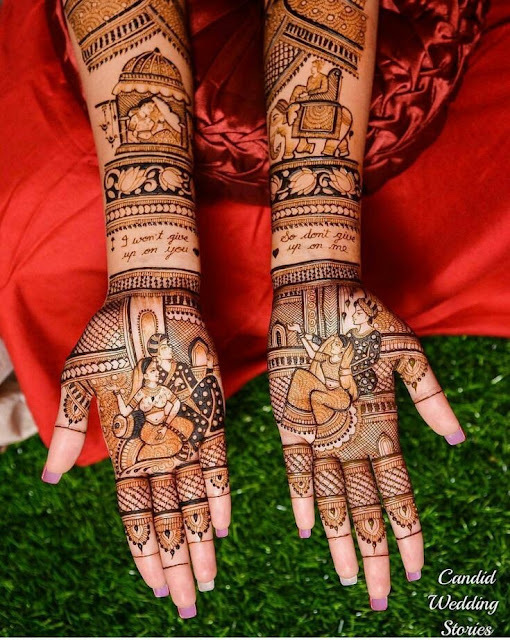 Personalizing mehndi designs with your partners initials has always been a thing but these days brides are opting for more innovative ways to add a personal touch to henna designs. 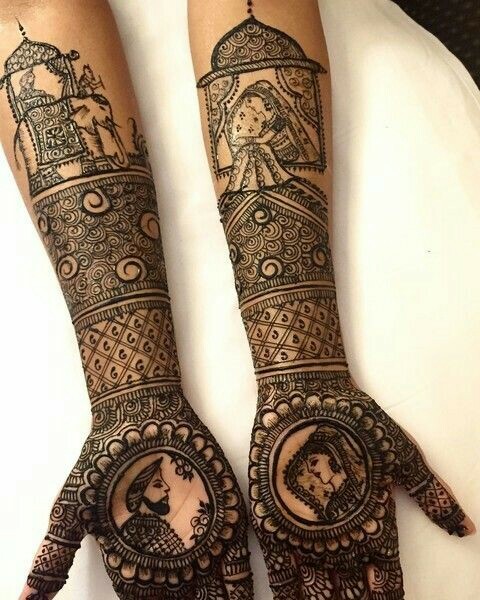 Getting your love story drawn or your proposal story is an interesting idea. 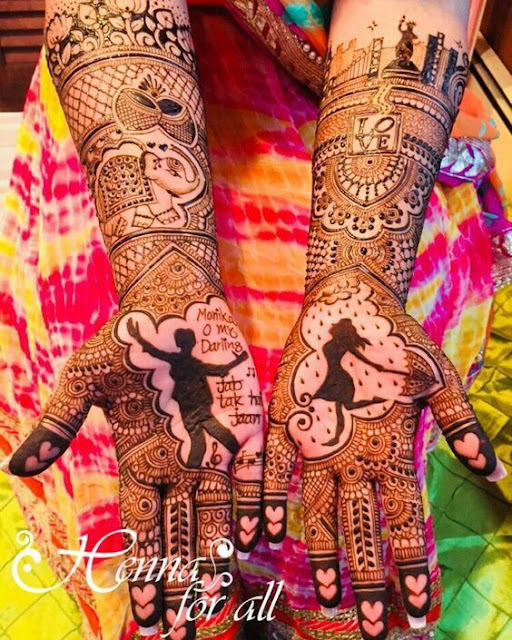 More simpler ways to add personal touch is by adding your wedding hashtag or a romantic couplet on your palms. 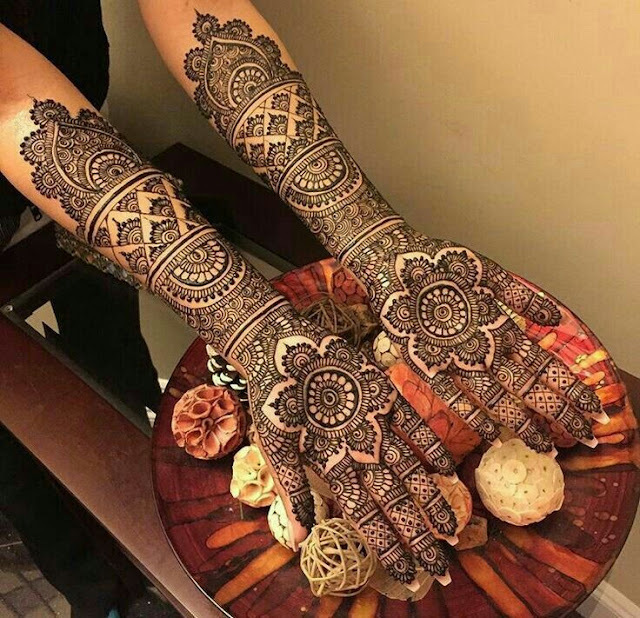 Do your research on the kind of mehndi design you want but be sure to trust your mehndi artist who is an expert and let him decide what kind of design works best for you. 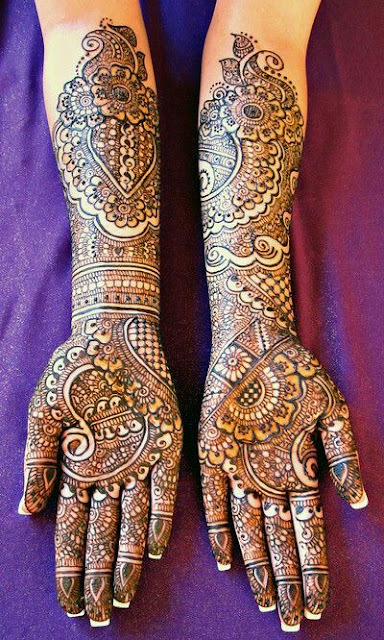 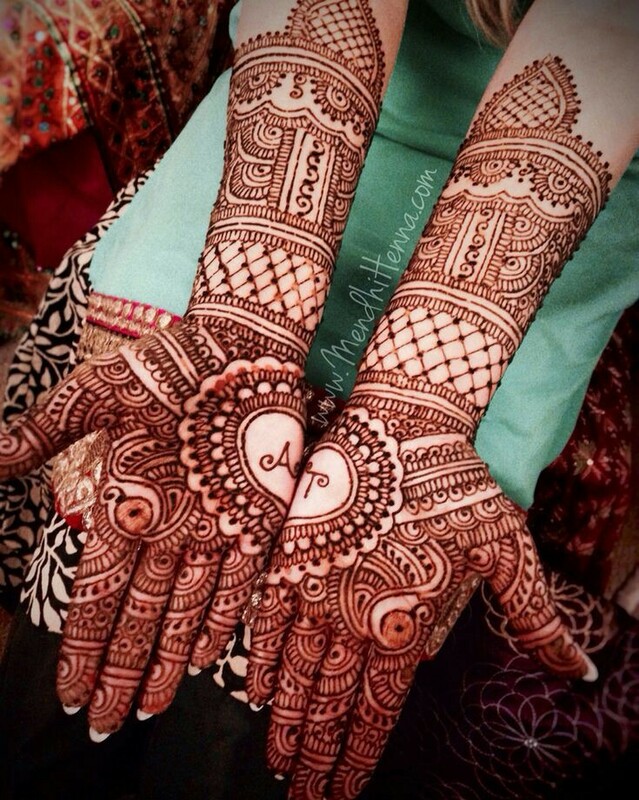 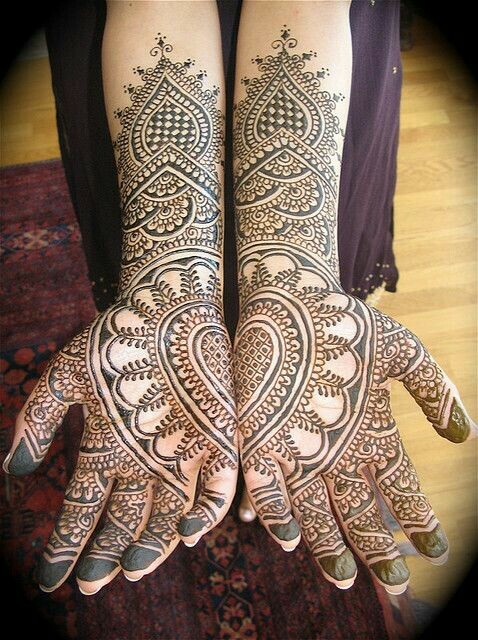 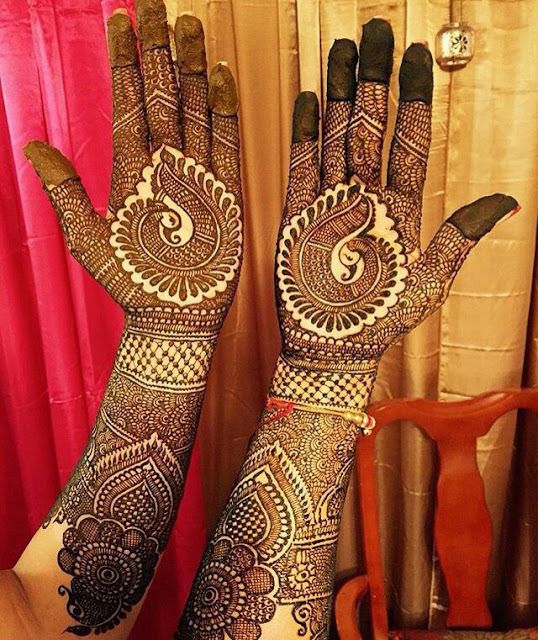 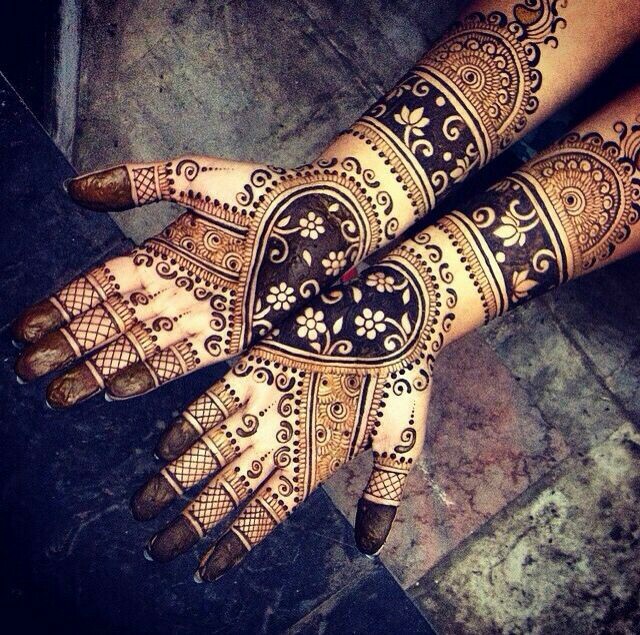 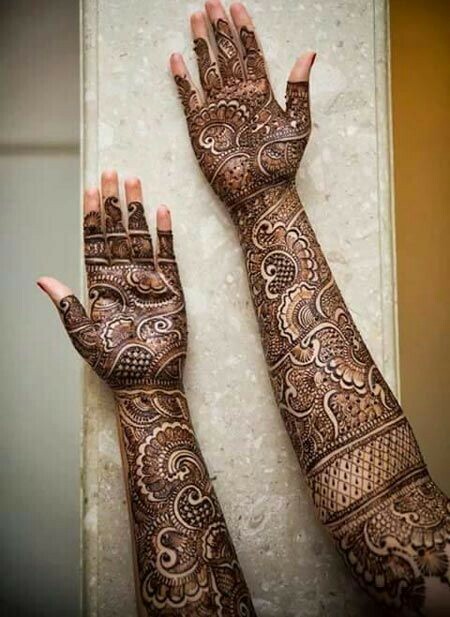 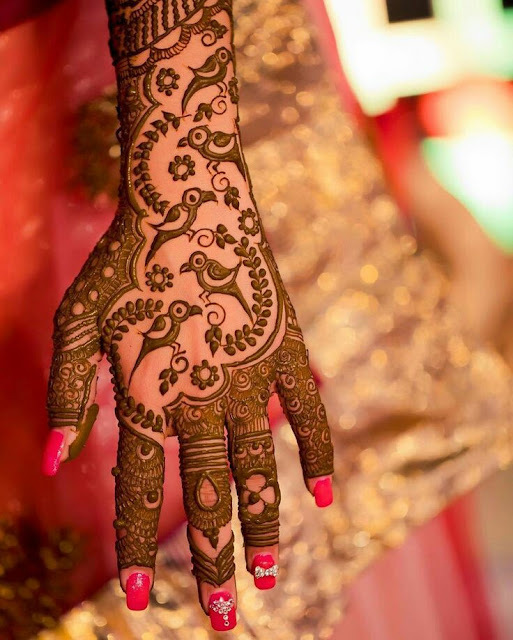 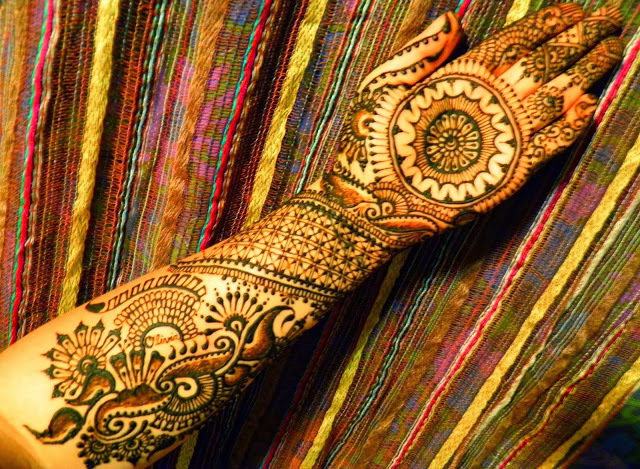 Which of gorgeous bridal mehndi designs for full hands do you like most?